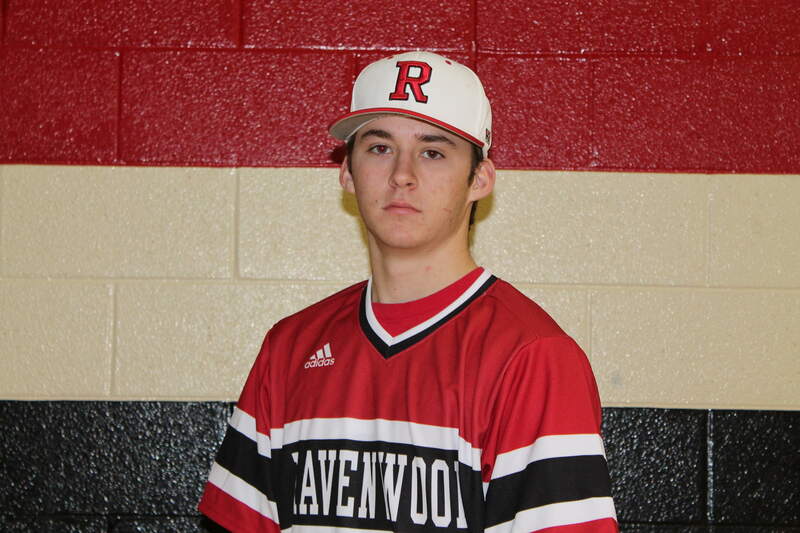 The first matchup of the season between District 11-AAA foes Centennial and Ravenwood needed eight innings before a winner could be decided Monday night. With the score knotted at four with one out in the bottom of the eighth, Ravenwood's Bailey Whitten stepped to the plate with a man at second and scorched a 1-0 pitch over the shortstop. Pinch runner Luke Yates made the turn for home and beat the throw from Cougar left fielder Ian Spallinger to seal the game 5-4. "Coach gave me the right approach; he said the right-handed submarine ball was going to run back over the plate ... and that's exactly where it was," Whitten said. Starting pitchers Hooper Mills and Micah Kaczor dueled for most of the game, both going seven strong innings and over 100 pitches apiece. Kaczor found adversity early, as the Cougars scored two runs in both the top of the first and second. But, second baseman Hagan Severance gave the Raptors some hope of squaring up Centennial's ace by blasting a leadoff home run in the bottom of the first inning to keep the score at 4-1. "They've got their guy on the mound, and he's pretty good, and I thought he did a nice job of keeping us off balance," RHS head coach Teddy Craig said. "It was important that someone was able to square a ball up, and we squared up a few right there in the first inning. Confidence is everything at this level." Mills got back in trouble in the third inning and gave up two runs to tighten the game 4-3, but he pitched out of a jam and left two Raptors on base to end the inning with the Cougars' lead still intact. He and Kaczor settled in after that, as neither team was able to push a run across over the next few innings. "Their pitcher started to pitch well," Centennial head coach Rob Baughman said. "The first few innings we got on him when he got behind we made him pay. "[Mills] pitched a really good game. He got behind a bunch of batters, which he normally does not do. But, he fought his tail off and he wanted to go back in there." In the seventh inning the wheels started to fall off for Mills, as he walked Ravenwood's Ryan Beamish with the bases loaded to tie the game. The crafty lefty was able to get out of the inning, though, as he forced a fielder's choice at home and a flyout to get out of the inning with just the one run crossing the plate. The disappointment of leaving the winning run 90 feet from home could have derailed the Raptors in the top of the eighth. However, Severance took the mound in relief and stranded Cougar pinch runner Jordan Neely at second before Whitten's heroics in the bottom part of the inning closed out the contest. "It's a game of momentum," Craig said. "It was important for us to go out there and stop gap them with what was the potential go-ahead run on second base, and I think that kind of turned things around." Severance was huge on the mound and at the plate all game for the Raptors. The junior went 3-for-4 with a homerun and two stolen bases, and he scored three of the five RHS runs. He also earned the win on the mound with an inning of work, walking one and getting a strikeout. Senior shortstop Jake Lyle was the driving force behind the Cougars' offense. He finished 1-for-3, cashing in two RBIs on a double in the second inning and also reaching on an error and hit by pitch. The win brings Ravenwood's record to 4-2 on the season and 1-0 in district play. "This is huge momentum," Whitten said. "Game one is huge for us. If you win game two then you carry that over to game three." Centennial falls to 7-2 overall and 1-1 in the district ahead of tomorrow's game two of their three game series with the Raptors. "That's the nice thing about baseball - we get to play tomorrow," Baughman said. "It's rough right now, but we'll be back tomorrow and we'll fight and see what happens and go from there."